In August 2015, a MicroPort Profemur Modular-Neck Hip Implant recall was issued for 10,825 Profemur Long Cobalt Chrome 8 Degree Varus/Valgus Modular Neck components (Part 125). The recall was announced after MicroPort Orthopedics, Inc. received 28 reports of the Profemur Modular Necks fracturing. The U.S. Food & Drug Administration (FDA) has declared this action a Class I recall, which indicates that the affected components pose a risk of serious injury or death. Affected patients have been advised to contact their doctors at once if they experience any symptoms of a modular neck fracture. Microport Profemur Modular-Neck Hip Implant: What’s The Problem? The component affected by the Profemur Modular Neck recall is used with MicroPort’s Profemur Modular-Neck Hip Implant System. This system consists of interchangeable parts that allow a surgeon to fit the hip implant to each patient’s unique anatomy. The modular neck involved in this recall is a component that fits between the femoral stem and femoral head. I’ve Received a Component Included in the Profemur Modular-Neck Recall. What Should I Do? An acute modular neck fracture will require hip revision surgery to remove and replace the neck and stem components. Patients should seek immediate medical treatment if they experience any of the following. Profemur Modular Neck Patients who have required revision surgery for a recall-related reason may be entitled to compensation for medical bills, lost wages, pain and suffering and more. MicroPort began manufacturing the Profemur Modular-Neck Hip Implant in 2013, after it acquired Wright Medical Group’s OrthoRecon business. 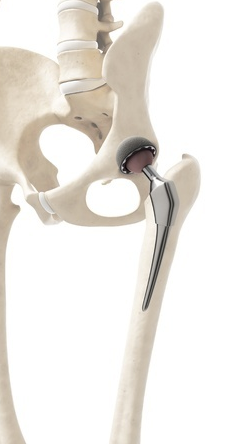 Prior to the acquisition, a number of Profemur hip lawsuits had been filed against Wright Medical by individuals who allegedly suffered injuries related to the premature failure of Profemur hip replacements. If you suffered debilitating complications that may be associated with the MicroPort Profemur Modular-Neck Hip Implant recall, help is available. To learn more about your available legal options, please call (888) 994-5118 to discuss your case with one of our legal experts.